Learn to defend yourself, improve your health, and have fun. What do you want to gain from Martial Arts? Do you want to learn how to defend yourself, be in better shape, have more confidence, relieve stress, improve awareness, or learn a new set of skills? If you answered yes to any of these possibilities, then you have come to the right place. 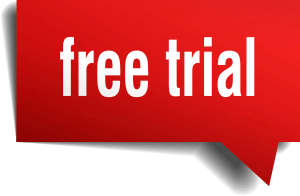 Contact Us Today for FREE one-day Trial! This is the Ed Parker system of Kenpo Karate. Kenpo Karate literally means "Fist law, empty hand." Kenpo is one of the most aggressive and comprehensive martial arts taught today. Kenpo is a ”street fighting” style of self-defence. Kenpo teaches you to adapt and manipulate your opponent using the laws of physics and motion for you to obtain maximum speed, power, manipulation and targeting while exerting a minimal amount of energy. "I come to you with only Karate, empty hands. I have no weapons, but should I be forced to defend myself, my principles or my honor, should it be a matter of life or death, right or wrong, then here are my weapons, KARATE, MY EMPTY HANDS." All information provided is provided for information purposes only and does not constitute a legal contract between Kenpo Karate Academy and any person or entity unless otherwise specified. Information is subject to change without prior notice. Although every reasonable effort is made to present current and accurate information, we make no guarantees of any kind.